The state of Victoria is large and expansive. So much so that it contains over 5 million people. When that many people get together in any area, you know problems are bound to occur, be they road accidents, public injuries or whatnot. When such problems occur, it becomes necessary to pull out your wallet and pay money upfront for expenses like medical treatment or rehabilitation surgery. Some injuries are so bad, in fact, that they cause you to lose the ability to work. If you were injured, and you believe somebody else is at fault (and should therefore be forced to pay for the damages you incurred), then you might need a compensation lawyer. Cases pertaining to compensation are dealt with through the County Court of Victoria, which is located at 250 William Street in Melbourne, Victoria, Australia, 3000. It is capable of handling all claims regarding personal injury. However, it might be better to choose a local civil court if the expected compensation is less than $100,000. 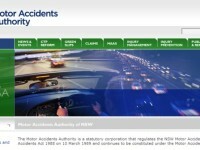 Claims having to do with accidents that occurred on the road. Claims having to do with accidents suffered at a hospital. Claims having to do with accidents that happened in a work environment. Claims having to do with accidents involving a public property. Claims having to do with asbestos. Claims having to do with personal superannuation. Claims having to do with disabilities. The goal of the compensation lawyer is to use the process of evidence gathering and courtroom litigation to prove that someone else is at fault. If someone else is proven to be at fault, then that individual must by default make compensation payments to you — either directly or through the person’s insurance company. Because not all lawyers possess the same skills and training, it is usually best to speak with several. By comparing and contrasting different lawyers and law firms, you can narrow down a list of three to four that seem best. Are you well known in the area? Have you won compensation cases before? How familiar are you with compensation law? There is never a guarantee that you will win compensation. It depends on many factors, including how much evidence is available, how skilled the attorney is, etc. It always helps, however, if you choose a quality compensation lawyer.